The author, a prominent playwright originally trained as a historian, conducted 25 years of research including interviews, perusal of official Soviet/Russian state documents, and access to the diaries, letters, personal papers, and photographs of the imperial family to produce this highly readable 462-page study of Nicholas II. Nicholas began keeping his diary on 1 March 1881, the day before the assassination of his grandfather, Alexander II. Nicholas was a punctilious reporter and continued his daily entries through wars, revolution, arrest, and Siberian exile. Both Nicholas and the Empress Alexandra were related to most of the royal houses of Europe in some way or other, but Nicholas's father, the truly autocratic Tsar Alexander III, was opposed to his son's choice of a German bride. Nicholas, who was to know few triumphs as a sovereign, stood up to his imposing father and Alexander at last consented—a personal victory for Nicholas that was to prove tragic for his empire. Throughout The Last Tsar, Nicholas is depicted as a weak individual. He stood in awe of his uncles, all forceful men of imposing stature, and was intimidated by his widowed mother. His brother Michael was the parental favorite and at the time of Alexander's death there was a rumor that Nicholas would yield his birthright to him. Nicholas took over a country at an uncertain point in its development. His grandfather had undertaken to reform and modernize Russia, while his father had done his best to put the brakes on all change during his reign. These changes in direction left both liberals and conservatives unsatisfied; the throne Nicholas inherited sat on a powder keg he could never defuse. The last tsar's reign was a series of mishaps, beginning with his coronation. At a reception for the populace after the ceremony a rumor started that there were not enough food or gifts for the multitude. Several thousand were trampled in the resulting melee. While upset by this tragedy, Nicholas compounded it by attending a ball hosted by the French ambassador that evening. Russia's humiliation at the hands of the Japanese in the 1904–05 war reinforced Nicholas's profound conviction that such calamities were the will of God. during this period, the author hints at the existence of a camarilla that hoped Grand Duke Nicholas Nicholaevich would assume the throne if his nephew foundered. The grand duke remained a loyal subject while Count Sergei Witte's policy of reasonable concessions and stern repression eventually ended the crisis. 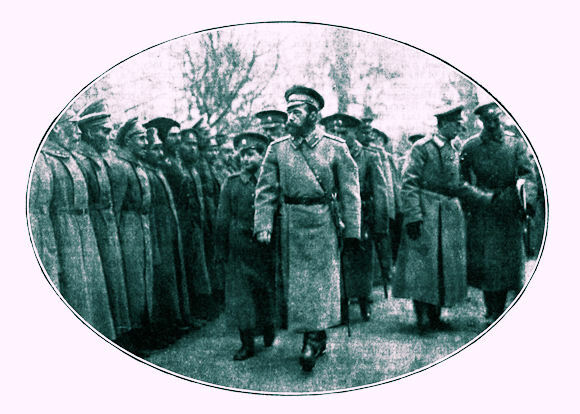 The tsar agreed to initiate reforms and granted a limited form of constitution. Alexandra was obsessed with the need to produce a male heir to the throne. Her first four children, however, were daughters; this led her, and to some extent Nicholas also, into the realm of religious mysticism. The imperial couple were introduced to seances and several "mystics" of questionable character and made trips to holy shrines. The tsarevich so ardently desired was born in 1904 and named Alexei. The birth was a cause for celebration throughout Russian even in the midst of the Russo-Japanese War. But Alexei had hemophilia. This affliction became a state secret, and the heavy demands of caring for their easily injured son did much to isolate the imperial family from Russian society. The periods of excruciating agony the young tsarevich frequently suffered caused the empress to turn to anyone who offered a hope of curing, or at least alleviating, the disease. The most famous of these was, of course, the sinister Rasputin. 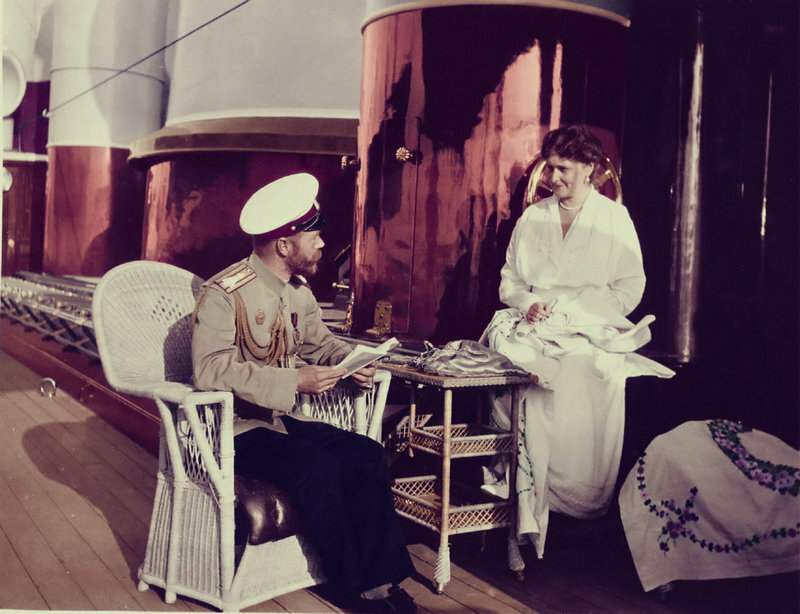 The cast of characters that streams across the pages of the latter part of The Last Tsar provides a fascinating look at the last months of the tsar's life. V.I. Lenin, exiled in Switzerland, wasn't sure if he would see a change in his lifetime. Once the Bolsheviks were in power, Leon Trotsky wanted to put on a show trial of the former tsar and his family. Individuals responsible for the execution of the imperial family are shown as crass thugs and incompetents. Finally, the British royal family does not come off well for desertion of a relative. The story of the young woman who alleged herself to be Anastasia, the surviving daughter of the tsar, is well known. Like others who have investigated the story, Radzinsky believes she was sincere but confused. The case of Alexei's possible survival is more interesting. an institutionalized individual is found after World War II who seems to have intimate knowledge of the Romanov court and is thought by some to be the heir to the throne. After examination by physicians he is returned to a clinic and his status as a ward of the state. Nicholas is shown as a loving husband, a doting father, a weak tsar, and a failed autocrat. In personality he would have made a fine country squire, but history placed him on the throne of all the Russias. Given the time and place, could anyone have done better? I think a potato could have done better. Nice summary of N2's life. A tragedy when a great and powerful country falls into the hands of a pair of adult children. Nothing good follows, especially when it happens in a time of great turmoil. For sure Clark Shillng, Shame on George for turning his back on his own cousin when Nicholas asked for asylum in the UK.